When a review copy of Missing, Presumed by Susie Steiner landed in my post office box, I thought, “Great, some new Aussie crime fiction!” Publishers know that I’m dedicated to reviewing works by Australian women and it’s rare they send me anything else. So when I discovered the book was set in the UK and the author is a former journalist of The Guardian, I was a little taken aback; but the publicist who sent the book had done her homework. Those of you who know I set up a “We Love Books by Nicci French” group on Facebook will know I’m a sucker for dark and moody books that centre around a flawed female protagonist. Missing, Presumed is one of these and it doesn’t disappoint. The main point of view character in Missing, Presumed is DS Manon Bradshaw, a cop in her late thirties whose biological clock is making ticking noises, sometimes loud, sometimes buried beneath a mountain of work or drowned out by disastrous encounters while internet dating. She drinks too much, doesn’t take care of herself, is scared off by polite, kind, gentlemanly types. She has a good best friend, a seemingly ever-optimistic partner on the job, and a fraught history with her sister. When she is called on to investigate the disappearance of a young Cambridge grad student, Edith Hind, the daughter of a GP and surgeon to the royal family, she senses the case will be big. For a small regional police force with a chequered history where it comes to missing persons cases, it’s a high risk, high opportunity endeavour: bungling it could mean career death; solving it could establish her career and guarantee promotion. Manon proves herself up to the task, but only barely. Throughout an extended investigation that sometimes looks and feels like it’s going nowhere, she suffers the ups and downs of affairs of the heart, strained office politics and family estrangement, all the while growing fond of a neglected ten-year-old boy whose elder brother is killed in suspicious circumstances. While Steiner’s characterisation of Manon is deft, Manon is only one of several point-of-view characters, all of whom are equally well rounded. There’s Miriam, the missing girl’s mother; and there’s Davy, the Detective Constable, who works with Manon. Each has a story to tell and a journey navigating through fraught human relations. The novel is carefully crafted and beautifully written. I kept wanted to stop and savour some of Steiner’s images – not always what a reader wants from a crime novel; but even if, at times, the language drew attention to itself a little too much, I didn’t mind. As well as the finally honed language, there’s a sensibility in the book that attracts me. This is a book you read not just out of curiosity for “whodunnit?” of “what happens next?”. It’s also a book which portrays both the best and worst of what it means to be human. When I finished it, I immediately looked up the local library catalogue to see whether it has Steiner’s first novel, Homecoming (it doesn’t). Given that I’ve dozens of books on my To Be Read pile, I’d say this means Steiner is an author to watch. 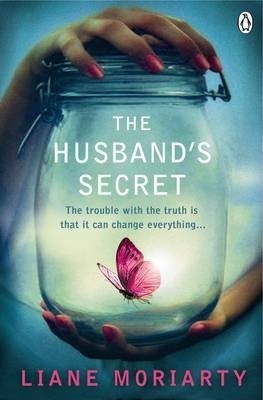 Liane Moriarty’s The Husband’s Secret is a page-turner featuring believable characters, interesting moral issues and more. I read it over the Australia Day weekend and the timing seemed fitting somehow. It could easily be subtitled, ‘A portrait of suburban Australian lives’. The characters in this novel are ordinary, everyday people who inhabit Sydney’s north shore. They’re people like me, or my sisters, my friends, our mothers and daughters. Catholic-raised, but not observant; juggling haphazard careers and family responsibilities; coping with the ups and downs of problematic marriages, teenaged children, competitiveness, grandchildren, imperfect husbands, as well as past traumas that rise up in the present with unexpected and unpredictable consequences. There’s Cecilia, the wife of the husband with a secret. She’s a perfectionist, a candidate for a diagnosis of OCD; impossibly organised, generous and thoughtful; quite possibly unbearable as a friend or family member, but also vulnerable and a loving mother. 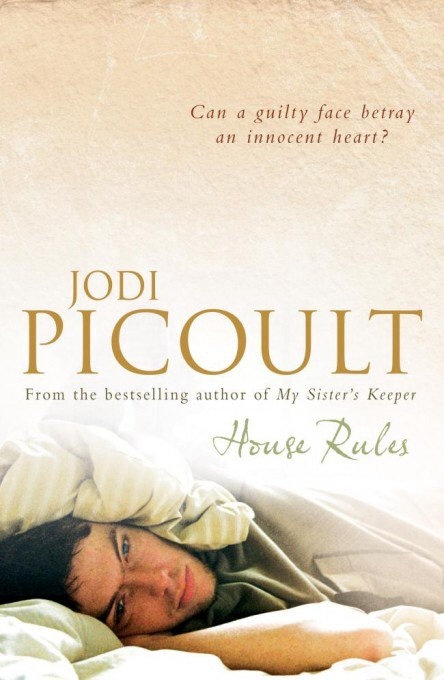 There’s Rachel, an administrator at Cecilia’s son’s primary school; an aging grandmother who has never quite got over the death of her teenaged daughter, and finds it hard to show love to her adult son. These characters’ lives intersect in a narrative that made me both laugh and cry as I identified with the experiences, thoughts, failings, fantasies and bad behaviour of normal human beings under pressure. Books like this show me how ordinary lives can be extraordinary and interesting. Moriarty seems to write easy-to-read prose effortlessly, adding a degree of emotional truth that surprises me for popular fiction. No wonder she was recently voted Australia’s second-most popular author in a recent online bookshop poll. This review forms part of my contribution to the 2015 Australian Women Writers Challenge and Aussie Author challenge. I borrowed a copy from a friend.